Naresh Arora diversified into the sphere of political digital media campaign management with his first project being Punjab Assembly Elections 2017, followed by spearheading Gurdaspur By-Elections 2017 and Himachal Pradesh Assembly Elections 2017, which saw him establish himself a social media strategist to reckon with, backed by astute campaign management and out of box approach towards conceptualizing plain looking ideas! What followed was the success of more political digital campaigns including Punjab Municipal Elections 2018 and Shahkot By-elections 2018 for Mr. Arora and his team at DesignBoxed, delivering comprehensively conceptualized campaigns. How did you roll into the idea of choosing Political social media campaigning as a career? A keen interest in current affairs, since my school and colleges days set the momentum for opting for Political social media campaigning as a career. Always had an interest in the political activities around the country, which was aided by a vision to see this aspect grow through digital platforms, eventually made me take it up as a career. I saw a lack of organized and professional approach in this sector, which provided me with the required impetus to choose it as a career path. As the election fever is rising up, how will you manage to set a New Trend with Professional Approach in the Indian Politics? Professional approach through digital media entails provisioning of a 2 way communication strategy- one where the electorate feels as empowered as the candidate in the representation of democracy and the candidate is fully aware of the electorate being represented. As with previous exercises during election campaigns, we have strived to provide a platform to the electorate, which makes them a stakeholder in choosing their representatives, rather than being mere rubber stamps! The only trend we wish to set in the Indian Politics is to empower the lesser heard voices, which have been marginalized too long. How Is Political Campaigning gaining Momentum through Social Media? Social Media has become an integral part of humankind&apos;s existence, now more than ever- so much so that we are connected to the world around us through social media channels. Political campaigning through social media channels has revolutionized the way election campaigning is approached now. It has become an organized approach where the candidate is directly and more personally in touch with the electorate. The electorate on the other hand have graduated into becoming a participative and emancipated think tank, who are more involved in the process of electioneering, rather than being mere bystanders. 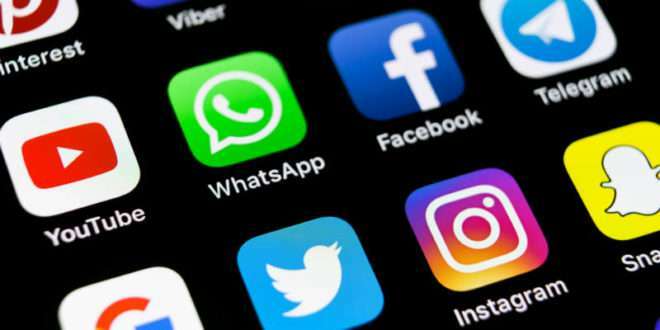 Is the Political Social Media Campaigning a marketing & a strategy tool used by political parties, which in return catches the eyes and minds of general voters? Of course! But the nature of this strategy is not defined by a sense of superficiality anymore. It is an interactive marketing tool, which draws strength from the active participation of the electorate. How is social media campaigning more successful than traditional campaigning methods for the branding of the political parties? Social media has a huge and distinct edge over the traditional methods in terms of its scope and influence. One can reach out to every section of the society, represent their interests through social media. Again it is important to emphasize the power social media has accorded to the process of campaigning, by involving both the candidate and the electorate at a much more participative and communicative level, which wasn&apos;t the case with traditional campaigning.